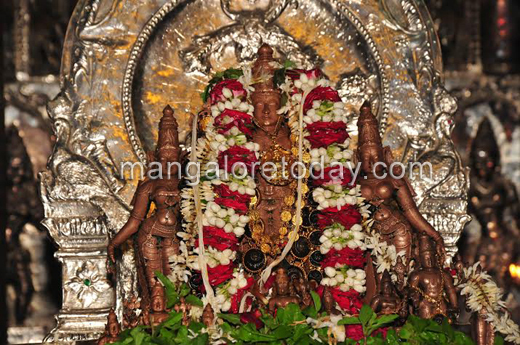 Mangaluru, July 26, 2015: Various rituals commenced at the Shree Venkatramana Temple on July 26, Sunday on account of the Lord’s Chaturmasa. The rituals began with prayer at 8 am followed by Panchamrithabhisheka, Pulakabhisheka, Gangabhisheka, Kanakabhisheka and Shathakalashabhisheka. Prasadam was distributed to devotees after Mahapooja at 2 pm.